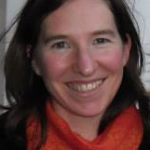 Fiona Barker is Senior Lecturer in Comparative Politics at Victoria University of Wellington. Her research covers the comparative politics of immigration, citizenship, integration and nationalism. Current projects include studies of politicians of migrant or visible minority background in Europe and New Zealand, voting turnout among immigrants to New Zealand, and patterns of ethnic representation under MMP in New Zealand. Her monograph, Nationalism, Identity and the Governance of Diversity (Palgrave Macmillan, 2015), examined sub-state nationalism and migrant integration in Quebec, Scotland, and Flanders. Other recent publications include ‘Multi-level governance of immigration in multinational states’ (in The Politics of Immigration in Multilevel States, Palgrave Macmillan, 2014, with R. Zapata-Barrero), ‘Le droit de vote des étrangers en Nouvelle-Zélande’ (Migrations Société 25: 146, mars-avril 2013), and ‘Constituting the democratic public: New Zealand’s extension of national voting rights to non-citizens’ (NZJPIL 12: 1, 2014, with Kate McMillan). After completing her PhD at Harvard University, she was a Jean Monnet Scholar at the European University Institute, and has been visiting researcher at the WZB Berlin, CERI-Sciences Po Paris, University of Edinburgh, and the Australian National University.